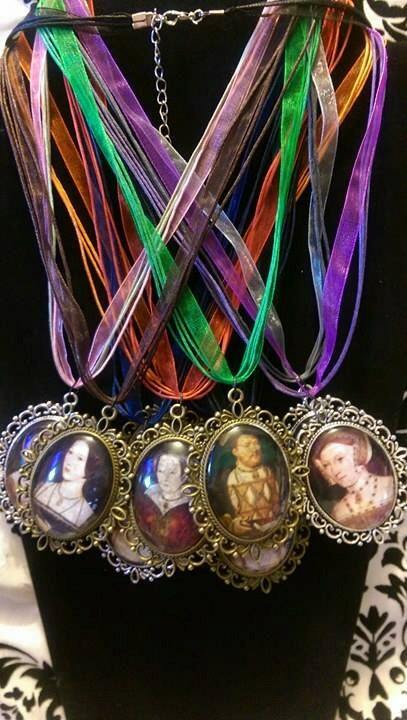 Catherine of Aragon was the first wife of Henry VIII. 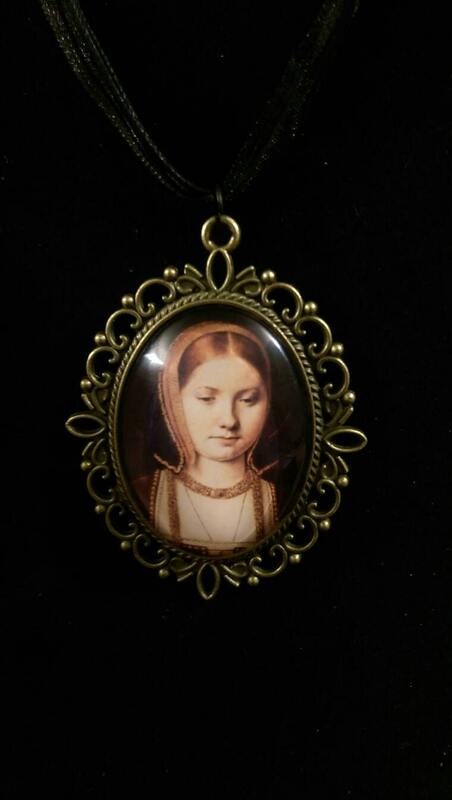 This is a portrait of her in younger years, set in an antique bronze or silver cameo pendant. 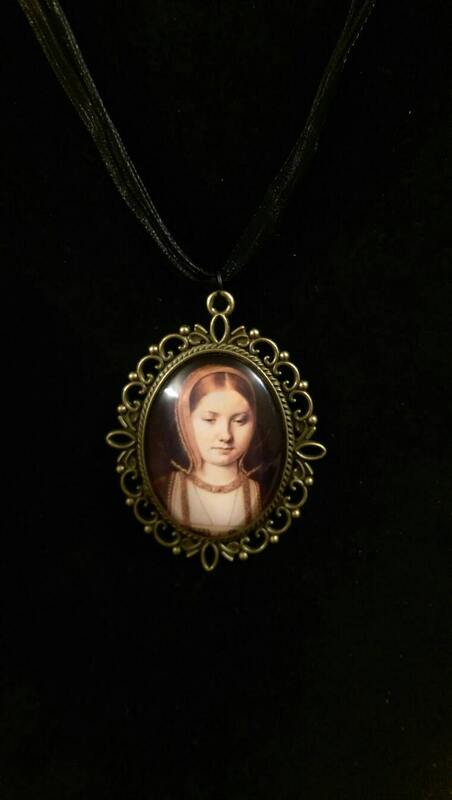 Pictured is the antique bronze cameo pendant with the black organza ribbon necklace.